3 Bedroom Semi Detached House For Sale in Cambridge for Offers Over £325,000. 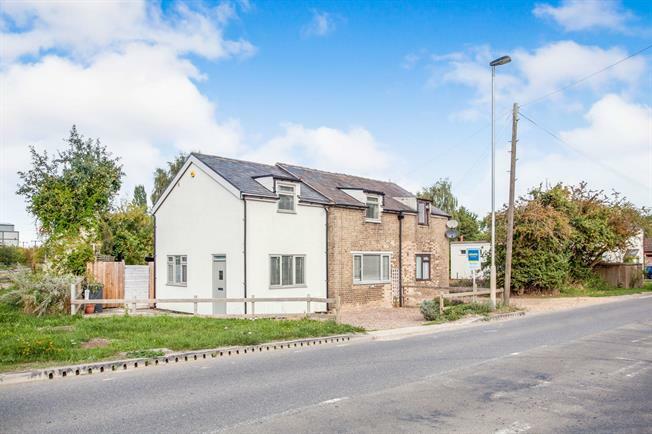 Introducing to the market a beautifully refurbished and extended three bedroom cottage in Longstanton. The original 1900's build has been extended with a modern, high specification interior whilst keeping in line with the character of the original building. The property features a good sized lounge, dining room, office, WC, kitchen and utility room with hardwood flooring throughout and integral kitchen appliances. Upstairs there are three good sized bedrooms, plenty of built in storage, en-suite and family bathroom. The property is flooded with natural light from large windows and velux windows throughout and high ceilings, adding to the spacious rooms. Outside there is driveway parking for multiple vehicles and the rear garden in mainly laid to lawn with a seating area for entertaining. There is also a large outbuilding to the rear of the garden, currently used as a gym.